This document is a response to an appraisal of the recent Appeal Judgement of the 7 December 2001 by a prominent QC and should be read in conjunction with A Reason to Doubt. "Mrs May's right handprint was found on the wall of the bedroom. She said that she had not touched the body and in any event the deceased's blood was dry by the time she said she arrived and discovered it, according to the forensic pathologist. The stain next to her right handprint was a left handprint which was definitely in human (or higher primate) blood and the third stain was probably the deceased's blood and definitely not May’s. So how did her handprint occur in what was probably blood, next to a left handprint definitely in blood and both next to a smear at the same height in what was not only blood but probably that of the deceased? The only person who could have got the deceased blood on her hand - and it is an obvious inference that the three marks were all made at the same time by the same person in the same substance - would be the murderer wouldn't it?" A brief description of the tests carried out on the stains. For us to be able to say that a specimen of some substance is blood belonging to a particular individual it has to undergo three tests. Firstly, you test it to see if it is 'blood at all', secondly, you test to find out what kind of animal it comes from (cat, dog, cow, human, etc,), thirdly, you test specifically for the particular animal, in our case, the deceased. At trial what was said to be known of the two handprint stains was that they were 'blood of some kind', the third stain was said to be 'human' and a forth stain, not mentioned at trial (which we will refer to later), tested positive for 'blood of some kind' only. For purposes of fingerprint enhancement the stains had been subjected to various chemical treatments and this was given as the reason for poor test results. The third and forth stains had NOT been subjected to the chemical enhancement treatments, a fact that was not generally appreciated at trial, or even now for that matter, so the question still needs to be asked: why did these stains not test well? There is no forensic test, once blood is dry, to determine how old it is so, forensically, it cannot be said that the stains were made at the time of the murder. Susan believes the first two stains at least to be old but cannot remember making them. These stains were said to be 'faint', which is a possible indication that they were old. The hands that made the stains were said by the fingerprint expert to be dripping with the stain substance (they said, "blood") as it had run, filling the grooves of the print, and initially preventing its identification. Hands 'dripping with blood' were the headlines in the newspapers at the time. Once the stains had been enhanced they were very visible, like the handprint a child makes when playing with paint. These were the pictures shown to the jury, no photographs were taken of the stains before enhancement when they were faint. It is difficult to understand that with such a large amount of stain substance, if it was blood and it was fresh from Hilda's dead body, why, when tested, it could not easily be shown to be from the deceased, even given Hussain's degrading tests. That the stains did not test well is a further possible indication that they were old. How could bloodstains made with so much fresh blood be faint? If they were in blood and fresh from the dead body as claimed why were they not more obvious? I do not think that anyone has addressed the problem thrown up by the stains being faint. If, as Susan thinks, they are old, and they are in blood, they would have been obvious at that time they were made and been cleaned off the wall. Surely we can say that whenever they were made they must have been faint and that points away from them being made in blood. An answer is required here that we do not as yet have. At this time FSS Weatherby examined the forth stain, which had not been subject to chemicals, and could not now find it to be blood of any kind. Two weeks prior to the last appeal Mr Clayton, an FSS officer, who had 'observed' the Brinkman tests now came forward to say that he had changed his mind from what he had said at the first appeal, when he had agreed with Brinkman that all that could be said of part of the second stain was that it was blood of some kind. He now made the statement that the second stain, after a reappraisal could be said to be from a 'higher primate' source, i.e. gorilla or human but not cow etc. This was damaging to Susan's case and there was not time to get a proper expert response from Brinkman. Should we postpone the appeal? We went ahead. I will address this issue later. Hilda (the deceased) had been brutally battered about the head and face before being smothered to death. It was a very violent murder. No evidence was brought to show that Susan had, or had ever had, any tendency to violence. Quite the contrary is true; she was always patient and kind. The testimonials on this web site show this but were not put before the jury. You can see in 'A Reason to Doubt' on the web site that there was ample evidence pointing to an unknown assailant but that also was not put before the jury. The motive was said to be financial, Susan would receive a half share with her sister of her aunt's estate. She had a younger lover and it was said she liked to lavish him with gifts. No evidence was brought to prove these allegations though two hundred and seventy six pages of statements on the issue were gathered and the judge told the jury to disregard these things, but this theme had dominated the trial taking some 70% of the prosecution counsel's time and had the effect of blackening Susan's character. Finally, we contend that when the police could not find the evidence to convict the burglar who had obviously committed the murder they, because of the presence of that fingerprint, 'targeted' Susan and mischievously manufactured a case against her. The evidence against Susan is all circumstantial and all from the lips of people with a vested interest in seeing someone convicted for the crime. Detective Superintendent William Kerr, the supervising office, and chief prosecution witness, has since trial been found by his own police force to be guilty of breeching the rules of PACE. The jury were not aware that this man was willing to break the rules. How would they have viewed the rest of his evidence if they had known this? We say that he is also guilty of manipulating forensic officers and their evidence. It was Kerr alone who affirmed that the blood was dry when he arrived at 10.30am - we will see that he manipulated Michael Davie, the senior forensic SOCO, to 'almost' agree with him. It was Kerr alone who said he saw the third stain when he arrived at 10.30am - the prosecution could find none of his police colleagues to confirm his statement but he would manipulate Naylor and Ashworth, forensic assistants, to agree with him at the last appeal. Davie, has since trial been totally discredited. The prosecution, at this last appeal, asked that his evidence should be put to one side. In the absence of his evidence that covered the whole of the investigation what has the jury got to look at? DS Janet Rimmer lied on oath when she claimed to have heard Susan say something that only the murderer would know. DC Ogden lied on oath corroborating the above statement. WPC Roberts lied on oath claiming that she had heard Susan say that she had been angry with her aunt. It is accepted that Susan's fingerprint was found in a handprint stain on the wall adjacent to the bed where the deceased body lay. There was a second handprint to the right of the first that was probably Susan's. A further handprint was found just outside the room where the murder took place that did not belong to Susan and remains unidentified. There is no evidence to validate the claim that the third stain was there at the time that the body was discovered. The nature of the substance of the first two stains is not at all clear. Susan said she does not think that she touched the body when she first discovered it? Today Susan still says that she cannot remember what she did or even how she got out of the house. Recently, as I was reading the statement of the next door neighbour who went back into the house with Susan to phone for the police and an ambulance, I noticed that she said she had to tell Susan to stop touching things, as she was touching everything. It's a pity that was not spotted for the trial. 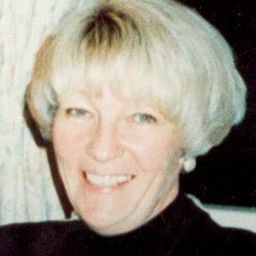 Henrietta Bullard, the psychiatrist employed at the first appeal to examine Susan's state of mind and memory when she discovered the body, supports the view that Susan's memory of events at that time of great trauma should not be relied upon. You say the blood was dry. Was it really? Superintendent Kerr in his statement and at trial declares that when he arrived at the scene at 10.30am on going into the house he touched (thus contaminating the scene) the blood on the face and on the pillow and it was dry. That seems sound enough doesn't it? The trouble is that in Mr Davie's statement he says that when he arrived at 1.30pm there was wet blood on the pillow. Wet blood was still available at 1.30pm. Also what are we to make of Kerr's statement in the light of the telephone conversation that he had with Davie twelve days later on 23rd March, the morning of the illegal interview with Susan? He asked Mr Davie, "Q. Would blood have been wet when niece came in (09.00) Mr Davie answered, A. Still damp on pillow when I got to scene" (at 1.30pm). Kerr accepts this answer without further comment and Davie is still keeping to his own story. After Susan had been arrested Kerr got Davie to do experiments with wet blood on pillows to find out how long it would take to dry. What was the point of this when Davie had said that the blood was wet? Kerr had to manipulate Davie to change his position for he needed this statement about the blood being dry on file in case Susan should change her mind and say that she had touched the face or pillow. Davie is coerced and at trial, these tests are the basis around which he discuses the dryness or otherwise of the blood. But even so he cannot bring himself to actually say that the blood was dry on that morning - but the impression was given to the court that the blood was dry because of how Davie was questioned by the prosecution QC. Again this statement is made by Kerr but is not corroborated by any other person or by any photographic evidence. This statement was challenged by the CCRC and at the last appeal by observing that there was no evidence, other than Kerr's statement, to show that the third stain had been noticed by anyone on the first day of the investigation. The video cameraman did not take any footage of it and he would have expected to have had it pointed out to him if it had been noted by anyone as having any possible significance. The same is true of the still photographer. Kerr explained the absence of these photographs by saying that he was in charge and these men only photographed what he told them too photograph and he had not felt at that time that the third stain had much significance. This, as far as I am concerned, is not good enough when it is clear that this stain is the main plank of the main plank of the evidence against Susan. The prosecution, prior to the last appeal, had interviewed all the other officers who had been present that day trying to find someone to back Kerr up but none would admit to having seen the third stain. Naylor, the still photographer and Ashworth, Davies assistant, when interviewed by the CCRC had said that they could not remember seeing the stain that day. By the time they had got to appeal they repented of the statements that they had given to the CCRC and were found suddenly remembering, eight years on, that they had seen the third stain that day and supporting Kerr. This is very questionable behaviour. It was argued at appeal that the stain could have been made when the body was moved, at a time when it was admitted by all that there would be wet blood around. If Kerr really did touch the blood then his contamination might have been the cause of the third stain. Personally I feel that the most likely scenario, if indeed it was not an old stain, would be that one of the ambulance men caused it. They were there legitimately handling the body in the half light, their hands would be on the face and pillow where the blood was and they operated the light switch which was near the third stain on at least one occasion. Coupled to this, a flake of dry blood was found on the pillow of the second bed in the room that must have been transferred by one of their gloved hands. The flake indicates that a scab had been broken with some blood sticking it to the glove, this blood when transferred to the area of wall near the light switch would be enough to make the thin smear which constituted the third stain. The third stain was not made at the same time or by the same person as the others. Apart from Kerr's statement there is no evidence to say when this stain was first seen. There is no evidence to validate the claim that the stains were tested on that first day and found to be blood. The forensic scientist's contemporaneous notes from that day have been extensively amended. The position of the stains on the contemporaneous sketch have been added at a later date as has the note saying that the stains tested positive for blood. For the first appeal this scientist completely falsified a test report showing these stains to be blood - this only came to light because the CCRC discovered he had used a form that did not come into use until a year later. There is no record of any tests on these stains from that first day. The prosecution would know all this pre-trial and deviously did not use Mr Davie at trial to witness that the stains were blood, even though it was said that he was the first to see and test them. On the stand, as mentioned above, he only testified regarding whether the blood on the pillow was wet or dry. A second forensic expert, Mr Hussain, testified that he had tested the stains (some 7 days later) and found them to be blood and his testimony was used at trial. Prior to testing for blood, Mr Hussain, had treated the stains with two different chemicals to try to enhance any fingerprints that might be in them and in this he was successful. But we now have a problem with both the integrity of the evidence and the integrity of the investigation. Mr Kerr, possibly having forgotten that the prosecution had relied on Hussain rather than Davie, made a statement to the CCRC and on the stand at this last appeal, saying, (quoting from the CCRC notes) "The decision was taken to identify the prints, as this was deemed more important to the enquiry than identifying the substance at that time. The marks were then useless for anything else owing to the general heat of the house and the tests that had been conducted on them in trying to identify the prints. (He telephoned the CCRC specifically to add the following sentence) This was after full discussion and advise from scientists." There is a serious question mark over the investigation at this point - Why would Kerr and Hussain agree that, following the chemical enhancement, the stains would be useless for further testing for blood and then go ahead and do the tests and rely on these results in court? There is a major confidence trick going on here somewhere! Both Davie's and Hussain's evidence regarding the nature of the stain substance is unreliable. There is nothing before the jury to say that these stains are in blood. Kerr is manufacturing and manipulating evidence for his own ends at trial and at appeal! Was there blood on the murderer's hands? The injuries to the face and head of the deceased are not conducive to the assailant getting blood on their hands. The dominant features on the face were that it was battered and bruised; it had lots of tiny lacerations and abrasions but no open wounds, not even a bloody nose. The assailant, presumably in an attempt to get Hilda to say where her money was, had held her by the neck as she lay in bed and beaten her viciously about the face and head. When it became apparent that he was not going to get anything out of her, he hit her one last time really hard causing a blood blister the size of an egg to form under the skin of the left cheek. There was still no blood to get on his hands (my comment). He then put his hands under both sides of the pillow (this is the prosecution scenario) bringing the pillow up the sides of her face and then over her face to smother her. Under this pressure the blood blister bursts and sheds blood on to the pillow but THERE IS NO BLOOD FOUND ON THE UNDERSIDE OF THE PILLOW, where the hands of the murderer now are. There is now blood on the pillow from the burst blood blister but the deed is done and why would the murderer return to put their hands in it? It would be the same for Susan, if she did it, as for the burglar; the last act of aggression is the hands on the pillow to smother and neither Susan nor the burglar would acquire any trace of blood as they left the scene. With as much blood on the hands as was required to cause runny fingerprints there should have been many more deposits of it around the room and house but there were none. We were told at this last appeal that the Kastle-Meyer presumptive test for blood has the potential to give false positives; either 'rust' or 'horse-radish' sauce and some chemicals would give 'positive for blood' incorrect results. No tests were carried out to eliminate these possibilities. i) On arriving one day Hilda is found having a nosebleed and in the process of stopping the bleeding and cleaning it up Susan got blood on her hands and touched the wall. ii) Susan had been doing a job in the garden with a rusty tool and had been caught in a sudden downpour, dropping the tool she went in and leaned on the wall with alternate hands as she supported herself whilst taking off her boots. iii) Susan has just made a sandwich for her aunt with her favourite horse-radish sauce, she pauses to chat putting her unwashed hands on the wall thus causing the marks. It is not Susan's case that the marks are not blood only that she did not make them, whatever they are made of, in the process of killing her aunt. It was said at trial that there were 'three and three only' stains. That was incorrect. Kerr said that he did not know of any innocent source of blood for Susan to have made the stains. That too was incorrect. Just to the right of the third stain was a further stain that similarly tested positive for blood. This stain was behind a radiator and some towels covered it. It was said that this stain must have been there PRIOR to the murder. Would this have coloured the jury's thinking about the age of the other stains if they had been told about it? I feel sure that it would. When tested, one of Susan's dresses had a bloodstain on it, said to be of 'bovine' origin; possibly the stains on the wall were of animal origin as well? Again the jury were not told. After Susan had become the prime suspect, a bag of meat scraps was found in the kitchen that had been overlooked by forensics on previous visits. The meat scraps gave the same positive result when tested for blood. On the outside of the bag were stained fingerprints that were supposed to be tested to see if they were blood. This bag was never further tested and it was mischievously labelled 'Craftsman Baker Paper Bag', a label that gave no clue to its bloody contents. The defence did not discover it and its significance was never explored at trial, where the judge for some reason had thought the presence of animal blood a strange thing. Discovered by the CCRC this exhibit was presented at the last appeal as an innocent explanation for Susan's fingerprint in blood. The work of the fingerprint men and Hussain's chemical enhancement work, which by the time he had finished had extended to treating the whole wall several times, would cause extensive 'contamination'. I am not sure that Brinkman knew of these treatments. This contamination is demonstrated in that Brinkman's tests produced numerous LB (ladder band) results at locations on the control samples were there should have been no readings at all. If these stains had been further tested they might indeed have turned out to be horseradish or rust or some common household cleaning agent. To keep things in balance it should be noted that the first test that Brinkman carried out on the second stain gave a negative for blood of any kind result, again demonstrating the frailty of the exhibit. In light of the above considerations I believe it would be wrong to yield this ground to Mr Clayton. Mostly in this appraisal I have dealt with the facts, there are many points of argument that I have not taken time to challenge. If these three stains are indeed 'old' then all the above is the figment of a police officer's overactive imagination and I would prefer to be arguing Susan's innocence from the point of view of her 'good character' or that the murder was committed by an 'unknown assailant’. It is clear from the above that the forensic evidence is totally unreliable both from a factual standpoint and from the value that is given to it in argument. Once it is taken into account that the senior police officer in charge of the case breaks the rules and sanctions others to break the rules (he did not personally take the illegal statement), and once the senior forensic expert is totally discredited I feel it a disgrace that the prosecution and the judges have not abandoned the case and promoted Susan's acquittal. To me it is very suspicious that the chief supervising police officer is the main prosecution witness. Whether Susan touched the body or not remains in doubt. Her statement cannot be relied upon for a number of reasons not least that it was illegally taken from her. Kerr's assertion that the blood was dry when he arrived at 10.30am is now seriously in doubt as it is uncorroborated. There is a big question mark also over whether the first and second stains are indeed blood. That the third stain was a contamination of the crime scene now seems a strong possibility and without forensic evidence the claim that all the stains were made on the day of the murder is pure speculation. Whilst proof reading this document I was checking through some old papers and came across one of the first letters that I had received from Susan. I had forgotten about its contents. I had asked her if she could think how she had caused her fingerprint to be on the wall. She could not of course remember but she mentions two or three situations where Hilda's blood was present, one of these goes a long way to answering my own queries set out above. On one occasion, in the not too distant past, Hilda had had a urinary infection and there had been blood in her urine. If Susan had, in the course of washing and changing her aunt, got her hands wet with urine with blood in it and had then touched the wall the stains that would be left would be faint as ours are. They would be runny as our's are and they would also presumably give a weak positive result when tested for blood - not that I concede, without better forensic's than we have, that they are blood. However you read this report I hardly feel that you can still feel that Susan's conviction is safe!